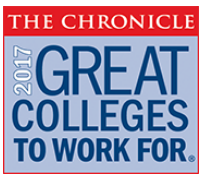 ASU Mid-South, located just minutes from downtown Memphis, Tennessee, seeks a highly organized, entrepreneurial, and results-driven individual to develop, coordinate, and deliver high-quality non-credit workforce training programs. This dynamic opportunity includes, but is not limited to, customized training for business and industry; open enrollment career development and professional certification courses, and targeted programming and activities to support the collaborative workforce and economic development efforts of community stakeholders, including educators, employers, economic developers, and other governmental and non-governmental entities. This is a full-time, 12-month position. · Ability to break through traditional communication barriers and establish/maintain strong, positive relationships between the College and business/industry employers and between employers, potential workers, and education/training providers. · Ability to identify, plan, implement, and evaluate new and recurring non-credit training opportunities. · Ability to effectively recruit appropriately credentialed instructors and third-party subject matter experts, as needed, to provide training in a wide variety of subject and skill areas. · Knowledge of and ability to provide leadership regarding trends, news, and legislation relevant to area workforce and economic development initiatives. · Knowledge of employer expectations of technical skills and work ethic skills related to the College’s service area, including the Memphis metropolitan region. · Knowledge of the Arkansas, Tennessee, and/or Mississippi Workforce systems. · Experience in developing State of Arkansas Office of Skills Development (OSD) Workforce Training Grant applications; successful funding history is a plus. · Ability to lead effective employer outreach efforts needed to generate new and sustained non-credit and/or credit training opportunities; willingness to provide support and guidance, as needed, to the greater Workforce Division and to the College’s marketing team to facilitate successful employer outreach efforts. · Ability to maintain an accurate data tracking system and analyze/report data related to non-credit training, such as demographic information on training participants, credential attainment, employment outcomes, etc., as required for local, state, and federal reporting. · Experience working with economically disadvantaged or at-risk populations. · Demonstrated ability to work independently and as part of a team. 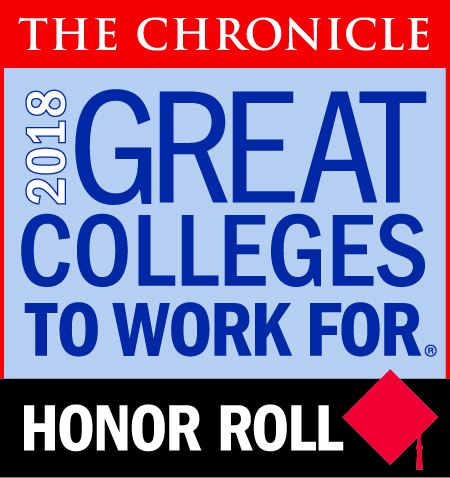 · Bachelor’s degree (Master’s preferred) in workforce development, business, engineering, management, human resources, training and development, or other industry-related field. · Five years of industry work experience, preferably in an advanced manufacturing, transportation, hospitality, information technology, or healthcare-related sector. · Basic understanding of and experience in workforce and economic development; previous community college and/or training provider experience a plus. · Proficiency in Microsoft Suite, specifically Outlook, Excel, Word, and PowerPoint. · Necessary financial/accounting/analytical skills and experience to effectively manage the fiscal requirements of the position, to include budgeting, pricing, contracting, and forecasting. · Ability to travel to various training, work, and other sites and to attend meetings within and outside the College’s service area. · Ability to periodically monitor the delivery of courses and training outside of standard work hours. · Assess training needs of business/industry in the greater Memphis area and develop/deliver high-quality training programs that are responsive to those needs. · Develop partnerships with stakeholders in the College’s service area and in the State in support of relevant training, workforce improvement, and economic development. · Engage in community and employer outreach activities to build strong partnerships with business/industry and build community awareness of the college’s programs and services to the community. · Participate in the marketing of programs and recruitment of program participants. · Seek external funding and pursue or assist others in pursuing opportunities for program sustainability; manage the process of training cost reimbursement. · Manage sequential and concurrent transactional processes with the Registrar, Business Manager, Facilities Scheduler, Marketing personnel, and other College personnel while simultaneously executing multiple non-credit training projects. 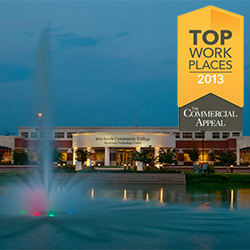 · Manage course and training content on the ASU Mid-South Business and Community web page. · Serve as a designated trainer in an OSHA Train-the-Trainer model; deliver internal and external training. · Establish and implement course/program evaluation tools; apply continuous improvement strategies as needed; monitor progress and outcomes to ensure client satisfaction. · Develop and monitor a growth-based, quality-focused departmental plan which supports the College’s mission and strategic goals. · Prepare and submit internal and external reports, in accordance with internal policies and procedures. · Provide timely responses to inquiries and requests for information. · Supervise and manage the activities and training delivery of contracted instructors. · Assist in engaging employers in work-based learning opportunities. · Collaborate with Career Services in providing eligible students with employment opportunities. · Serve on College committees, task forces, and grant teams. · Perform general administrative duties required for program and project success. Commensurate with education and experience. Full college benefits, including retirement; health, life, dental & disability insurance; a flex benefit plan; and tuition waivers for employee and family. Start Date: Review of applications will begin immediately and will continue until position is filled.